earn money when you sleep by sharing our courses! Do you have dreadlocks and a large social media profile or large numbers of followers? Do you have a website on dreadlocks or dreadlock shop online? Have you studied one of our courses and tell people about it all the time? Do you support ethical, earth friendly businesses? Do you wish to earn money while you sleep? Do you wish to be a location independent digital nomad? OR are you an experienced affiliate or digital marketer looking for an interesting, ethical, empowering digital product to sell? 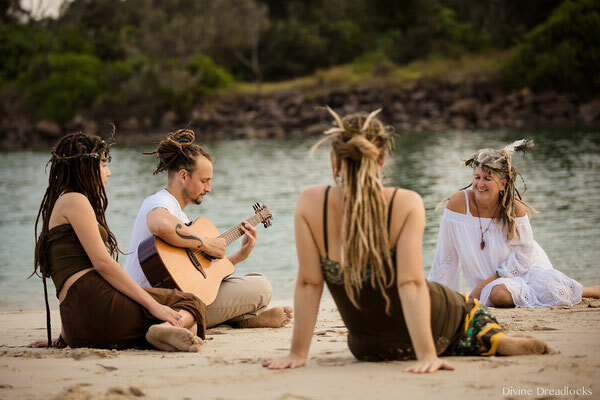 If you can answer YES to any of the above questions then becoming a Divine Dreadlocks Affiliate may be a fantastic way to earn good money by sharing the love about excellent online courses in the boutique niche market of "natural dreadlocking". 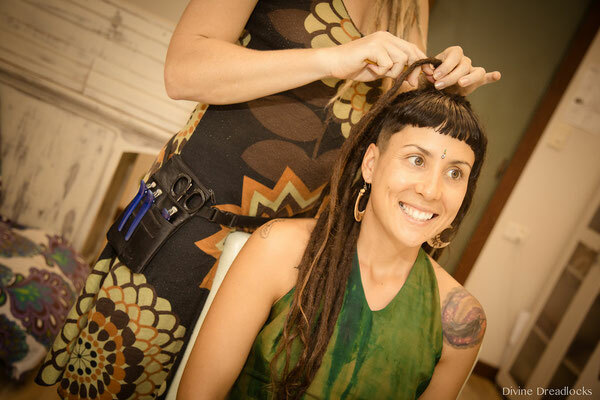 These courses help people either get their dreads looking the way they'd like, help people save money, help people create & maintain dreads for loved ones and help people feel empowered by running their own lifestyle businesses as "Dread Locticians". 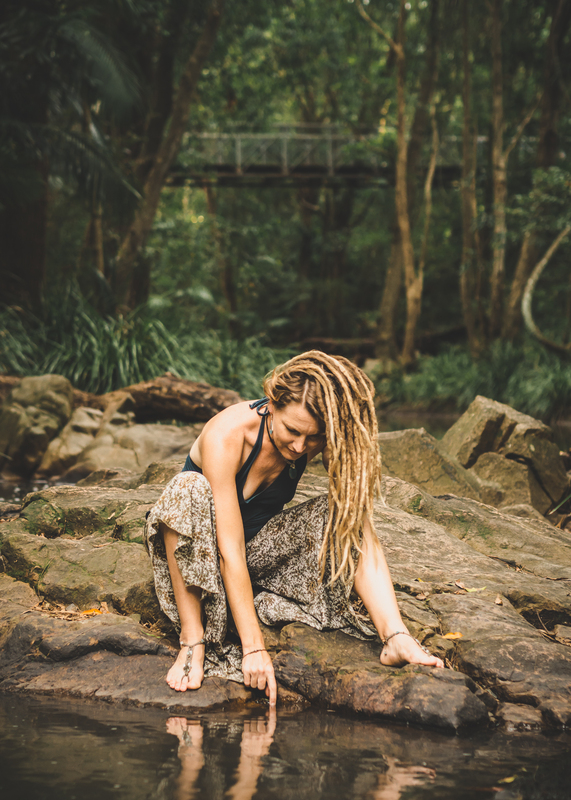 The "dreadlock" niche is fast growing as "dreadlocks" or "dreads" is a search term that reaches up to 65,000 hits a month on google in just 1 western country alone (USA) and more and more people are looking to find a fulfilling creative career as a Dread Loctician! 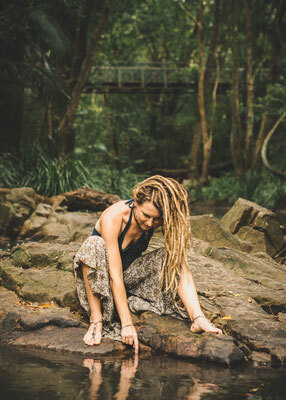 Em (owner, founder, Loctician and Trainer at Divine Dreadlocks Australia) has been locking since the year 2000 and teaching her personally innovated version of the "crochet" dreadlock method (which she calls the Divine Hand & Hook method) since 2013. It is earth, animal and human friendly (involves no chemicals, wax, threads, or corner cutting) and is very high quality version of the crochet method. So for this it has earnt her a reputation as a top Loctician allowing for bookings 6 months in advance and enticing clients to book and visit from other countries to see her. 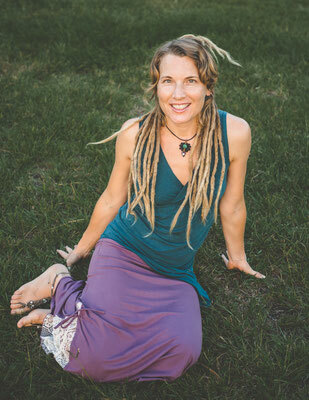 Since 2013, her passion and professional experience with teaching has also earned her a top reputation as a 5 star rated "Dread Loctician Trainer". She launched her online courses since 2014 and alongside growing, birthing and raising 2 children and has sold over 350 of these courses to dreadlock lovers around the world with ONLY 5 star reviews. Her ability to teach in depth knowledge so thoroughly and her passion for helping empower others has seen quite a few practising Locticians choose to do her Loctician Course despite already having trained elsewhere! This is a true testament to the quality of the courses, the teaching and the support. It is now time to share the love and call in a tribe of people, ideally passionate about "product free dreadlocks", helping others or personal freedom and empowerment - to help spread the news about Divine Dreadlocks Online Courses to others. 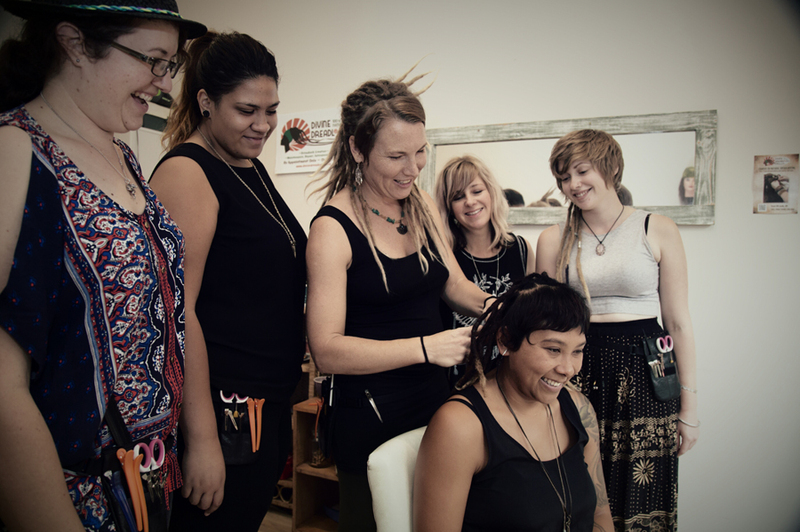 As a result of sharing some information about Divine Dreadlocks courses on your website, blog or social media you may generate a sale and earn a commission. 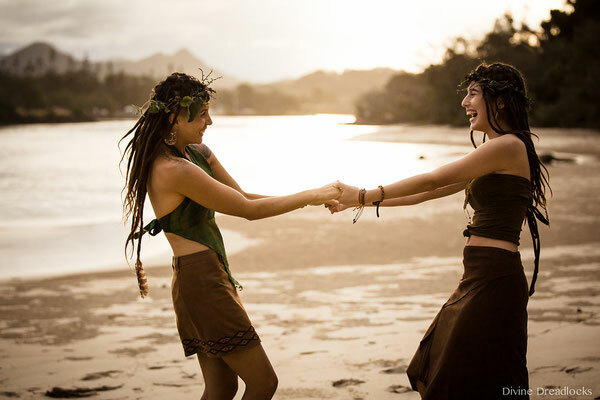 The idea is that to make money - you already have a connection to the dreadlock niche or community and you actively share specific course information with people actively looking for it. This is what affiliates do. It helps if you have a big connection to dreadlocked crew or some experience at SEO, PTO, traffic generation or digital marketing (tech savvy peeps). There are 6 different Divine Dreadlocks online courses and 3 of them don't involve extra work from Em (such as training and support) so you can earn either 20%, 30% or up to 40% commission by selling one of these. This is anything from $20 to $98 a sale as a Divine Dreadlocks affiliate as your commission will be on a sliding scale and pay will rise depending on how many of Divine Dreadlocks online courses you sell each month! For the 3 Loctician Certificate Courses (The Natural Loctician Certificate Level 1, Level 2 and the Advanced Loctician Course) there is a lot of assessments, marking and support required of Em for each student so the commissions are slightly less, but the pay is more as these are high priced, valuable courses (in which students can earn up to $50 an hour in their second year of being certified). 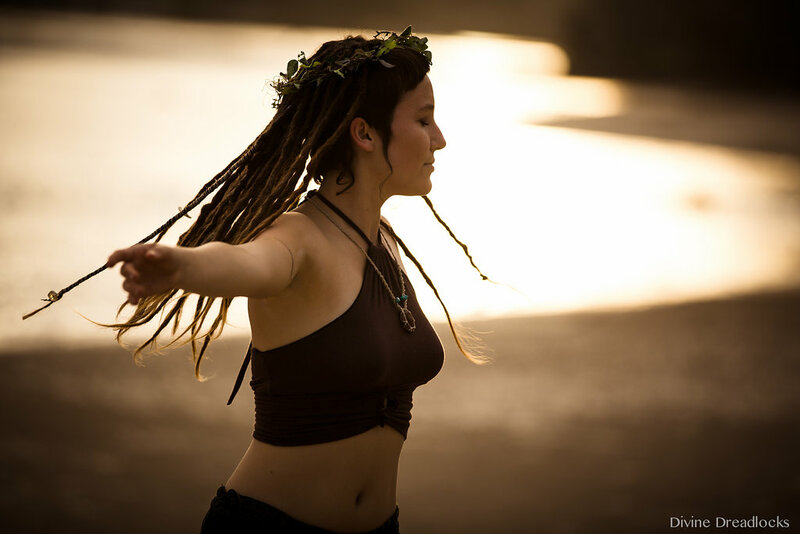 As a Divine Dreadlocks affiliate, you can earn from 10%, 20% or 25% commission on these Loctician Certificate Dreadlocking courses, which can be anything from $50 to a massive $348 paid to you, per sale! And remember, this is all for copying and pasting some information and a link on your website, blog, facebook page, facebook dreadlock groups or social media accounts (the information which you will be given as an approved affiliate)! You create an affiliate payment account within our learning management system (LMS) and then do some "match-making" - eg: connect my courses to the people who need them or who are already actively looking for them via search. So, if earning up to $348 for simply sharing information with the "dreadlock niche" and offering a product that they are already looking for, (in other words solving a little problem for them) sounds appealing, and you think you have what it takes to be a passionate, helpful affiliate then do your homework (like you would applying for any job you really want to get) by reading up on each of my courses from the course menu here, ponder your action plan for how and where you would offer my courses for sale, then FILL OUT THE FORM TO APPLY BELOW! Are you an experienced affiliate marketer? I have a website related to dreadlocks & am experienced at SEO. I have a social media page or account relating to dreadlocks with +15k people. I am a Divine Dreadlocks Trained Loctician & people ask me about your course. I bought one of your dreadlock (not certificate) courses & people ask me about it. 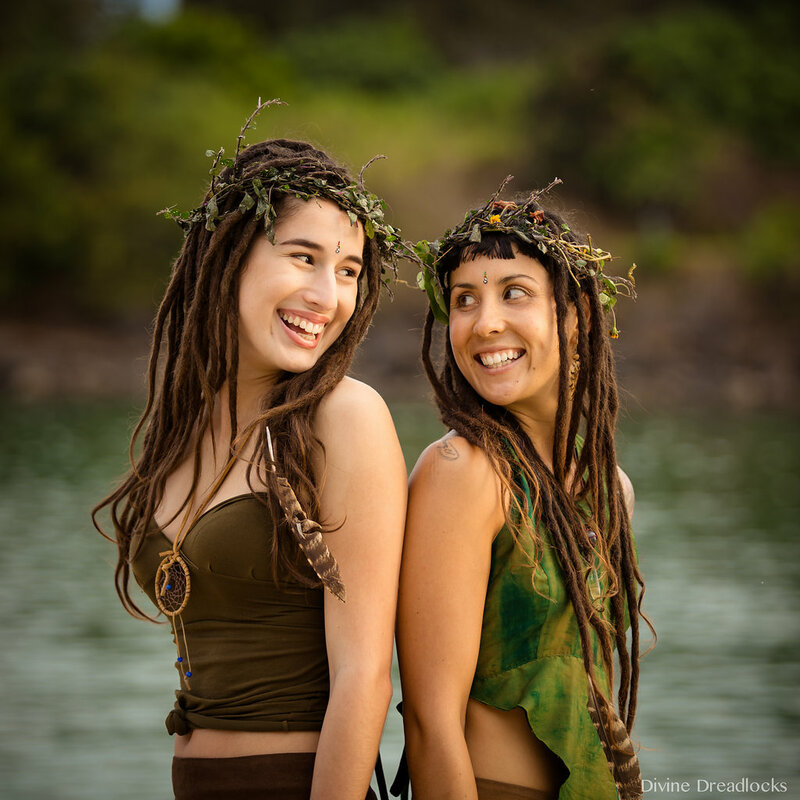 Add your website url or write "don't have one"
Do you have a loved ones with dreadlocks? Please describe breifly how you would go about "selling" my online courses?